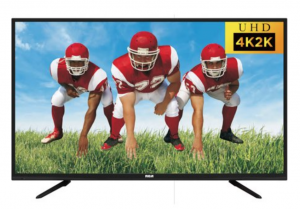 Head over to Walmart and grab the RCA 50″ Class 4K Ultra HD (2160P) LED TV for just $219.99! (regularly $379.99) A savings of $160.00! Plus, it will ship free! This deal is part of Day 6 of 20 says of deals, and may not last long. so grab one while you can!